With our Facility Management Company – we will conduct a thorough property inspection, determine the condition of the property and make all necessary repairs. Tempo Construction can even build a house if necessary. With I Know Consulting – we will conduct a full research analysis to determine if the potential property is even a valuable investment. As a full service real estate company, it’s only natural for us to assist in the maintenance and upkeep of vacant properties. We are licensed and insured and cover the entire Central New York area. We provide these services to the REO agent, lender, banker, mortgage, and foreclosure industries. We also assist home owners, investors, and realtors because at Tempo “No-trash out job is too small.” So, if your ready to clean house we’re ready to clean out! At Tempo, we receive 30+ calls a day and have a large database of perspective tenants looking for their next home. 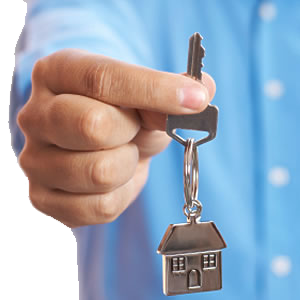 We can help you fill your vacancy and revive your rental income. We are low cost and there is no risk to you. We only get paid if a tenant moves into your property. So, as an owner, you have nothing to loose by giving Tempo the chance to rent your unit! We are a small company which allows for excellent person to person service, great attention to detail, and exclusive access to our experienced and skillful agents. At Tempo Realty we are not simply trying to make a quick commission. We are building long term, productive and successful relationships. We understand all sides of the coin because we are not your average agent – we are sellers, buyers and investors too! We know our market because we live in our market. We know our clients’ needs because we are our clients. At Tempo we know real estate because we are real estate. We understand your goal so let us help you achieve it!! Owning a property is one thing but maintaining it is an entirely different story. The list of cosmetic repairs can get quite extensive and sometimes a DIY is more trouble than it’s worth. At Tempo, we understand the demands of property maintenance and have developed a team of contractors to aid in even the smallest repair. We offer a full range of repair and maintenance services such as painting, landscaping, and snow removal, while seeing to your plumbing and heating needs. We are your all around handy-man, 24hrs a day seven days a week with no task too big or small.